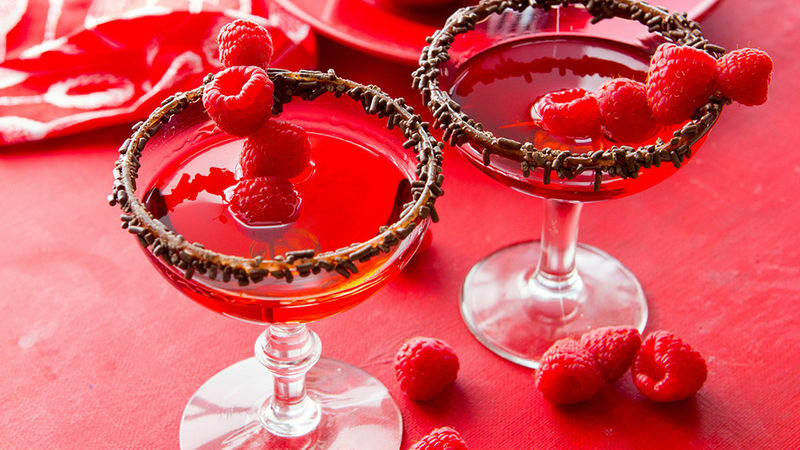 Melt chocolate chips on a plate, then dip the rims of 2 martini glasses into the melted chocolate. 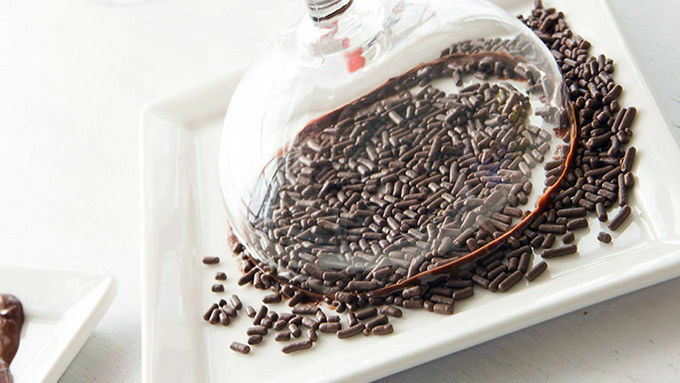 Gently roll in chocolate sprinkles. Set aside until set. 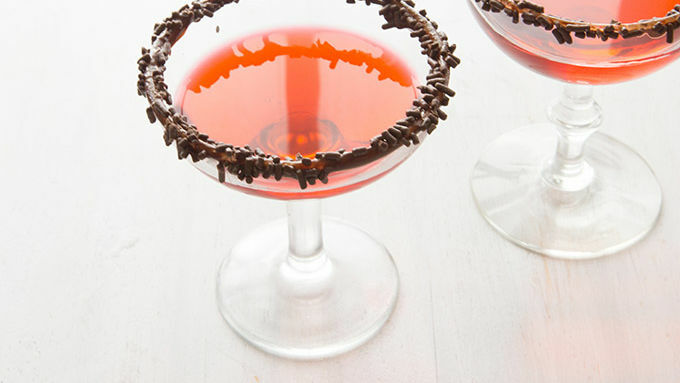 Place vodka, rum and grenadine in a cocktail shaker with ice. Shake for 60 seconds. Strain into 2 martini glasses. 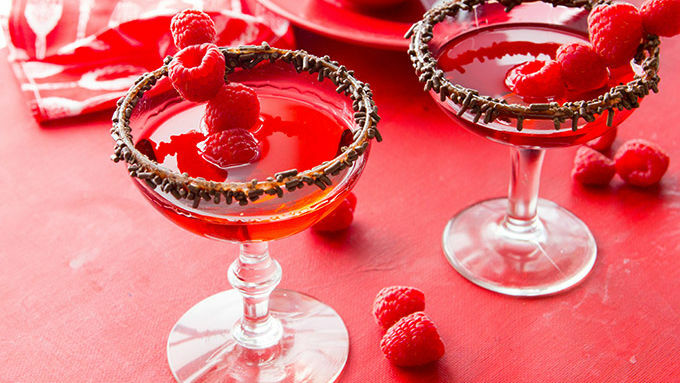 Garnish with raspberries skewered on a toothpick. Serve immediately.